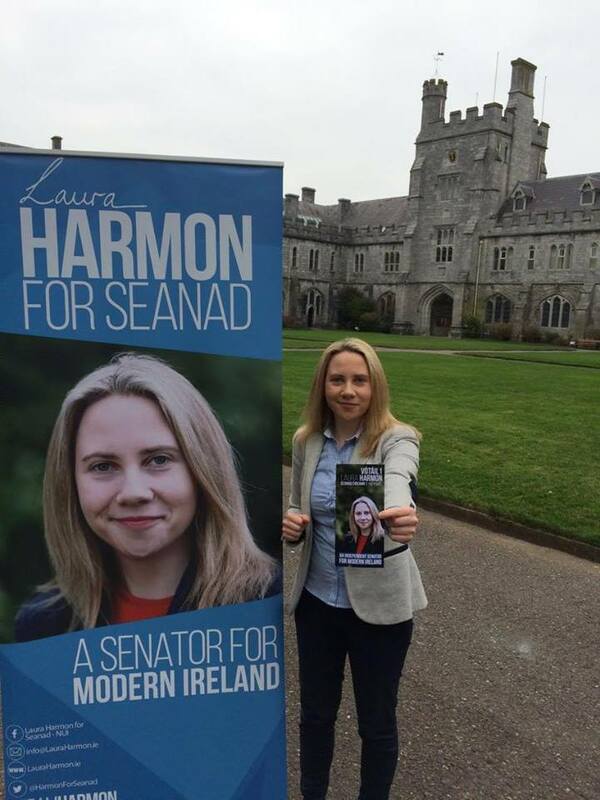 Former USI President and University College Cork graduate Laura Harmon launched her Cork Seanad campaign in UCC this morning. Speakers in attendance at the launch were Dr Conor O’ Mahony, UCC Law Lecturer and Dr Fiona Buckley, UCC Government Department, who gave their support to Harmon. 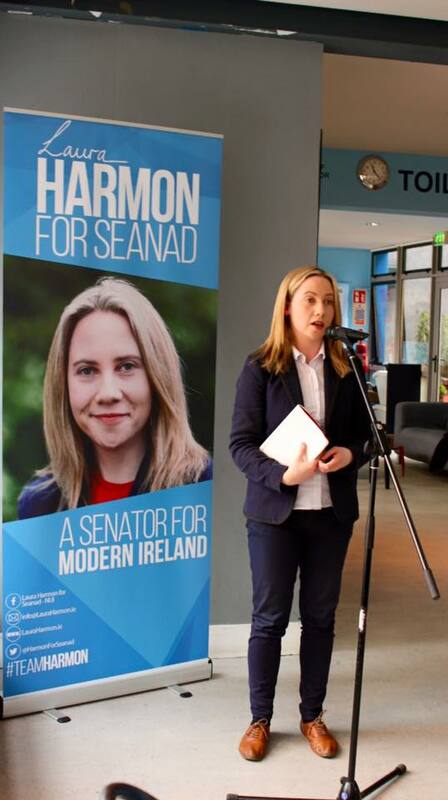 Harmon is running as an independent candidate for the NUI panel in the upcoming Seanad Éireann elections. Equality Campaign ahead of the 2015 Marriage Equality Referendum, during which over 30,000 young people were registered to vote. As a candidate with vast experience in equality and education campaigning, she outlines education, democratic reform, arts & culture, the environment and gender equality as some of the main areas she stands for. NUI grads haven’t elected a woman since 1981 . Harmon is hoping to break that and get get gender equality issues onto the agenda. To find out more about Harmon’s campaign you can go to http://lauraharmon.ie.